Discussion in 'Motorola Droid Bionic' started by Preach2k, Aug 26, 2011. 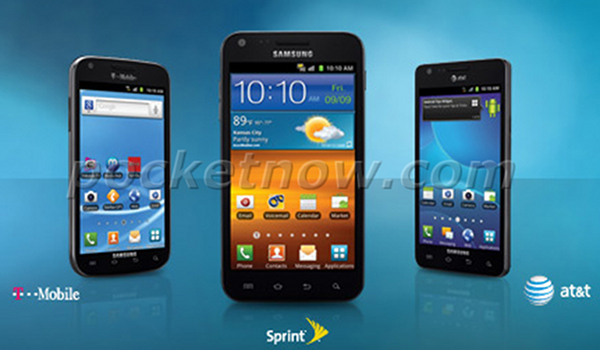 Here are the three variants for AT&T, T-Mobile and Sprint have been unveiled. This confirms the Wall Street Journal. The Sprint and AT&T models are exactly the look I want. Damn Verizon and their amazing network. So....looks like Verizon IS getting the Nexus Prime then. Makes since not to have a GS2. The Prime will be interesting...since it wont be a GS2....it could very well have LTE cuz it doesnt have to have the same form factor as the GS2. Those 3 all look real thin.